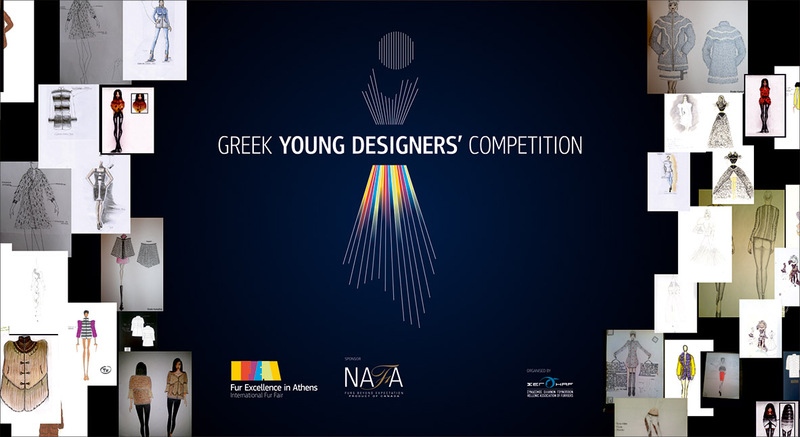 FEA-16 is celebrating its 5th ‘Greek Young Designers’ Competition’ and HAF announces a ‘Past Winners Competition’. Posted on August 27, 2015 Comments Off on FEA-16 is celebrating its 5th ‘Greek Young Designers’ Competition’ and HAF announces a ‘Past Winners Competition’. Celebrating the 5th Greek Young Designers’ Competition which takes place each year in the framework of the International Fur Fair “Fur Excellence in Athens”-2016, Hellenic Association of Furriers announces the “Winners Competition” of all previous years. Enforcing the competition which creates real and new business opportunities to young designers studying in Fashion Schools ΙΝ Greece and contributes to the acquisition of knowledge about a dear and unique material as fur, Hellenic Association of Furriers calls all past winners to submit their creative ideas for a subject which fascinates them, according to specific directions. Candidates can express their interest of participating until 31st of August and submit their proposals until Monday, 19th of October, 2015. The best, more interesting design will be manufactured in order to be displayed during the exhibition at the designated area of Young Designers Competition as well as at FEAs 2016 Fur Gala Show. The next International Fur Fair “Fur Excellence in Athens”, will take place in the Exhibition Hall of Metropolitan Expo’ from March 31 to April 4, 2016.